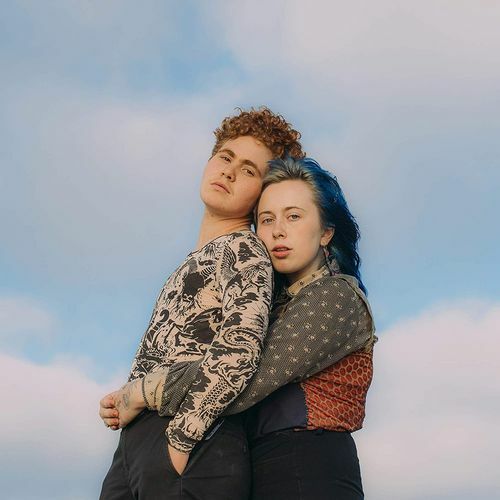 Are Girlpool the new Half Japanese? Sure, “this new indie band kinda sounds like this older, renowned indie band” has been done to death, but indulge the comparison for a minute and the similarities are uncanny: both duos of almost psychic connection (one of brothers, the other friends), both beginning wildly unconventional sounding songs that eschewed traditional melodicism and/or instrumentation. 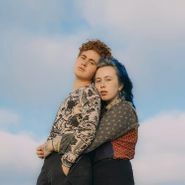 Over time, Half Japanese tempered their angular sound with more straightforward rock elements, and up to this point, Girlpool have followed a similar trajectory. The group’s self-titled EP and Before The World Was Big were drum-less, freeform guitar and bass meditations with pointed, guileless lyrics delivered in sharp anti-harmonies. By 2017’s Powerplant, the group had incorporated a drummer and started to resemble more what one considers as traditional (re: '90s-influenced) indie rock. What Chaos Is Imaginary continues their sonic evolution, borrowing choice elements from indie’s golden age, such as big ringing shoegaze guitars and an unyielding melancholy in their hooks.